Few can argue, that when it comes to dramatic mountains Mont Blanc (or Monte Bianco as the Italians call it) is right up there. At almost 5,000 metres, It is the king of the Alps and, setting aside the Caucasus range, the highest mountain in Europe. Mighty Monte straddles both France and Italy and although glitzy Chamonix grabs all the headlines and delves into deep pockets on its French side, it is well worth considering Monte’s Italian foothills and the charming Aosta Valley. You might detect the faint whiff of poor relation here, but for those in the know, it is their destination of choice every time..
For one thing, there is a lot more skiing to be done on this side of the range; over 350 kilometres of downhill runs and 180 individual pistes. Not surprising when you consider the generous slopes of Monte Bianco, Monte Rosa, Gran Paradiso and the Matterhorn are well within reach. 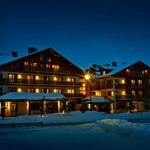 For another, consider the resorts: Courmayeur, perhaps the regional jewel in the crown, but arguably, Val Ferret, Val Veny, Morgex, La Salle, Pre-Saint-Didier and the delightful La Thuile are more than impressive support acts. 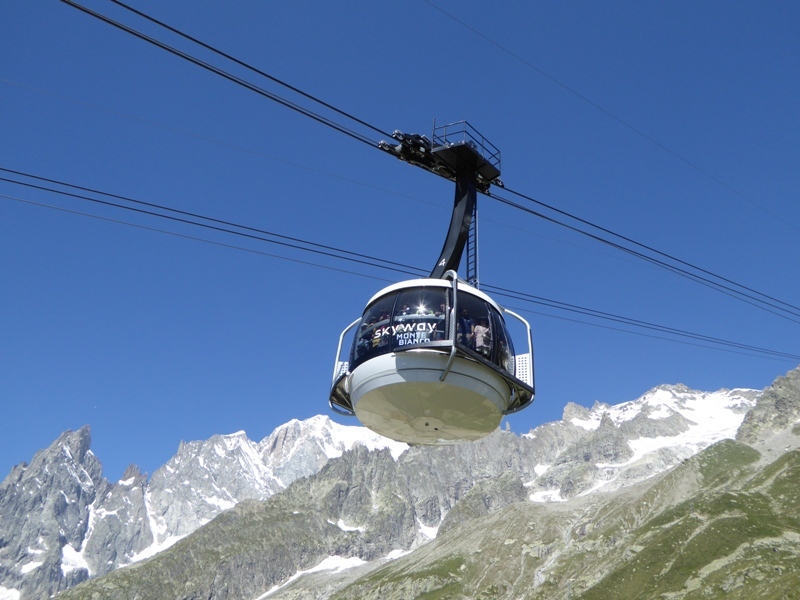 But now there is an added addition to Valle D’Aosta’s already impressive list of attractions; the quite epic Skyway Monte Bianco. 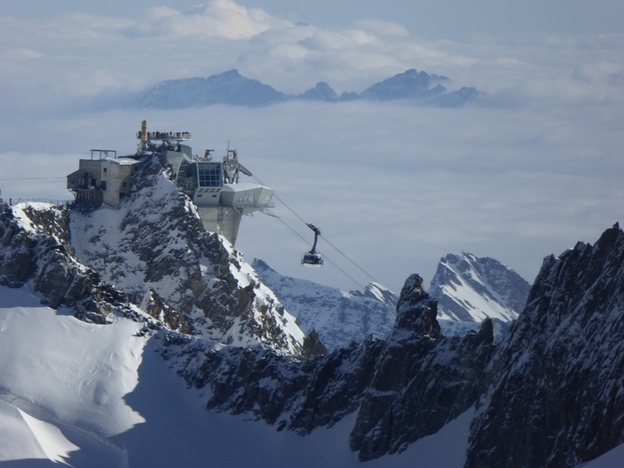 This state-of-the art cable car system not only glides effortlessly 3,500 metres up Mont Blanc to the roof of Europe, but also offers a host attractions along the way. Restaurants, botanical gardens, a 360 degree panoramic terrace, an auditorium/cinema, a kids playground and perhaps most surprising of all, a small winery producing DOC Spumante wine. It is high time I take a closer look. 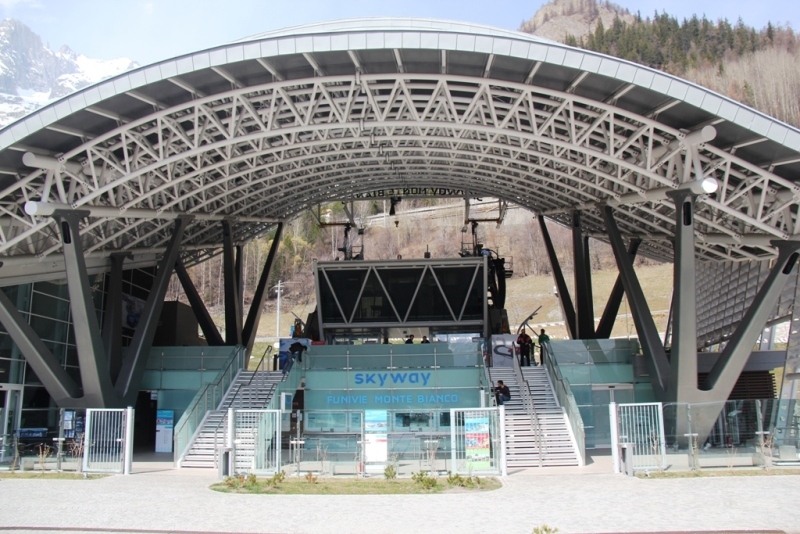 Skyway’s base station Pontal d’Entrèves, a stone’s throw from Courmayeur, is a study in cutting-edge design. All shiny glass and rounded titanium steel, it’s a fitting introduction to what I can only describe as a true aerial adventure. The sleek 80 person cable car patiently waits as I examine its silky curves and floor to ceiling glass. Like an Italian catwalk model striking a pose. And then, almost petulantly, it lifts away and in just six minutes I’m teleported up 2,000 metres to Pavillon Du Mont-Frety, Skyway’s halfway station. Along the way I’m treated to one complete rotation; a pirouette of pure alpine drama starring the Mont Blanc massif and the Aosta valley. A pretty good first act then. From here in summer, the botanical gardens await the green-fingered visitor eager to spy on over 900 alpine plant species. For me though no such luck, as the famed gardens are snugly tucked up for the winter. 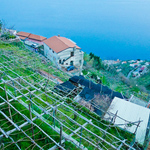 Still, there is a sizeable restaurant and terrace here, the perfect start and finish point for some summer trekking. Three paths offer a variety of treks and a cast of alpine characters from chamois to marmot. I take a peek into the tiny winery, where the magic happens to create the bubbly Vallée d’Aoste DOP. Surely the highest winery known to man. It’s a small production for sure, but as they say, good things come in small packages. There is no time to dawdle further as my second chariot awaits, another cat walk model ready to transport me to Punta Helbronner another 3,500 metres into the sky. It’s a ten minute ride this time and another pirouette takes in the triple peaks of The Matterhorn, Monte Rosa and Gran Paradiso. I really feel the altitude now as a little dizziness hits me as I walk out onto the terrace. Up here on the roof of Europe, things are put into perspective for me. How truly insignificant we are compared to these mighty sky cathedrals, sentinels for millions of years. I think I’m having a moment. The Bistrot des Glaciers is a remarkable place to ponder on life and the universe gazing out of the floor to ceiling glass while sampling some tasty regional fare. 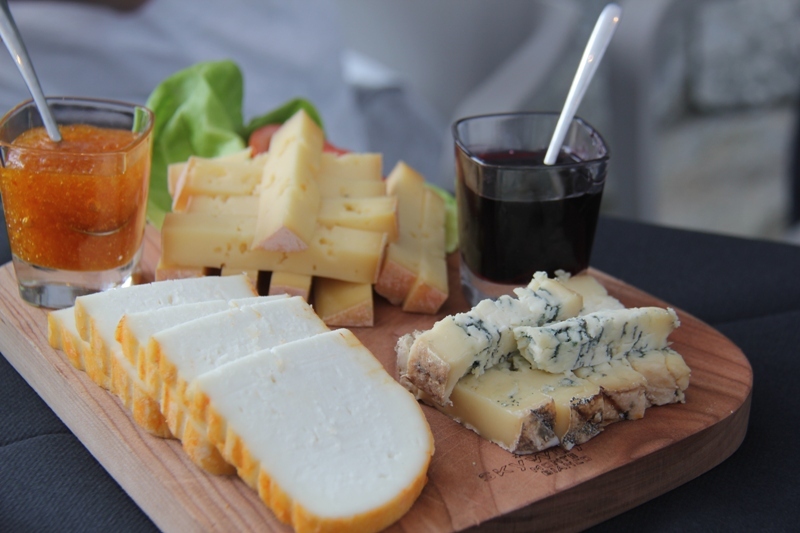 I tuck into a plate of Fontina cheese and cured bresaola-like Motzetta with a few slices local rye bread. Delicious. Enough said, as I tighten the knot to my closest companion and glance at the pick axe tucked through Roberto’s belt. For me the glacier walk is a thrilling highlight to my Skyway Monte Bianco adventure. 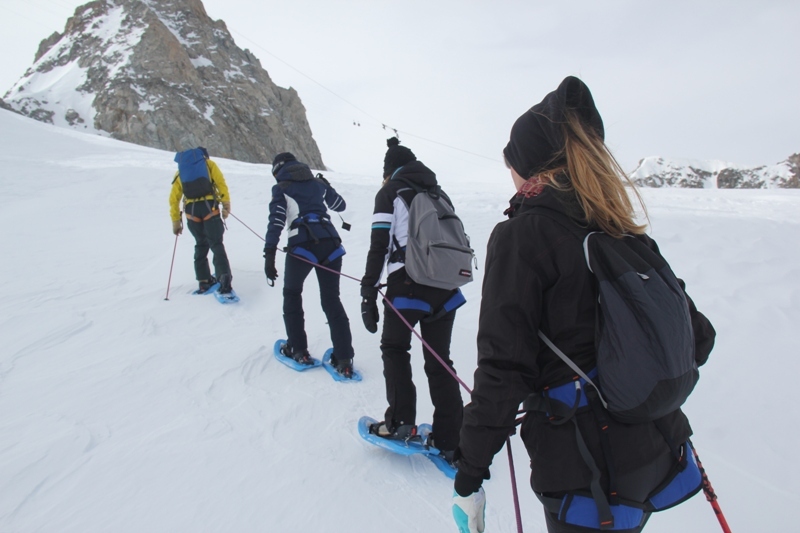 Donning a pair of snow shoes, essential for gripping the ice, my new companions and I form an orderly line behind our guide and step out onto the Vallée Blanche glacier. Glacier walking is quite different from snow walking. There is a distinct blue sheen under your feet, a constant reminder of ice strong enough to carve its way through sheer rock over millennia. We pass by the Refugio Torino, the overnight stop for mountaineers on their way to the Mont Blanc summit. Despite talk of potential crevasses, I return in one piece and have some time to kill before the cable car arrives to take me back down. I take a wander around the Crystal Hall, a permanent exhibition of crystals unique to the Mont Blanc massif. In summer, the Vallée Blanche cable car joins with Skway Monte Bianco on a dramatic 5 kilometre journey across the glacier and Mont Blanc range to link to the Aiguille du Midi cable system down to Chamonix. As I finally arrive back at Pontal d’Entrèves I can’t help but admire this feat of Italian engineering. Skway Monte Bianco is an ambitious €110 million investment and that is no poor relation in my book. 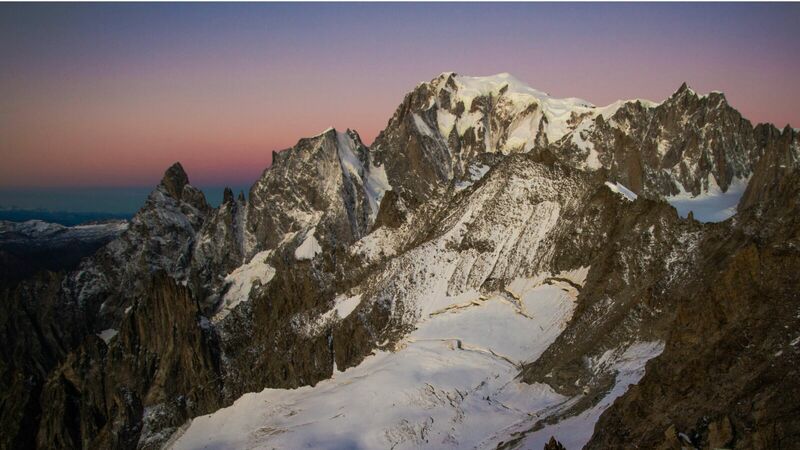 Perhaps those deep pockets over in Chamonix are not quite as full as they once were. I can almost feel the envy from here. 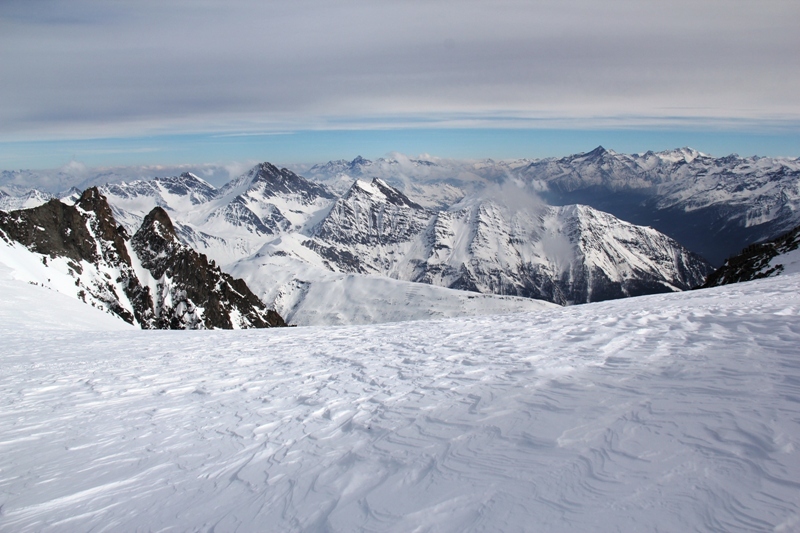 Glacier walking is available by pre-booking and is an added excursion with fees applicable. Strada Statale n.26, 48 Entrèves 11013 Courmayeur, Aosta. 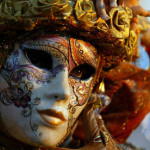 Nearest airports are Milan and Torino which have frquent flights from London Gatwick.